When playing sports, it is important that the surface of the floor is smooth, even and comfortable to play on. The sheer amount of running, jumping, twisting and turning involved with most sports, can place a great strain on an athlete’s joints. The anti-fatigue features of Ecotile’s sports flooring creates a “sprung floor” effect easing any strain on back and joints. Ecotile Lifestyle is built to reduce fatigue and create a comfortable playing surface for athletes. To create the perfect sports facility, quality must be established from the ground up. Sports flooring is a fundamental component that should be considered from the outset of a project when the overall objectives are being set. For some single sport facilities such as basketball courts, it may simply be a question of selecting the ideal surface for that particular sport. However, economic and programming factors in today’s day and age require a degree of multi-function. Some sports facilities are used for social or commercial activities too, which makes choosing sports flooring that little bit harder. Fortunately, Ecotile’s sports flooring range solves this problem as it can be laid quickly and easily to provide a seamless surface designed for sports use both indoors and outdoors. The interlocking tiles have a perforated network pattern so the small holes allow rainwater to drain away quickly and dry fast and also allows air to circulate. The non-toxic and hygienic nature of our tiles also makes them ideal for playgrounds. The free draining surface means they can be easily cleaned and of course there’s no mud to be tracked indoors! Remove fallen leaves by sweeping or using a leaf blower. In spring, clean the court surface using a street sweeper. If a tile does become damaged, it can be removed out of the court and replaced with ease. If moss grows on the substrate, it can be killed using a proprietary moss killer and then brushed off. 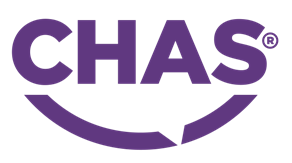 The tiles are designed specifically to be used for sports and are often used to create netball, basketball, badminton, in-line hockey, futsal and five-a-side football courts. We have a special tile designed specially for tennis courts. 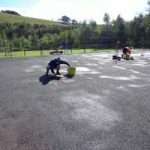 Our tennis court flooring has a very fine aggregate in the surface which increases the anti-slip performance and ensures the correct height and ball spin. Lifestyle sports flooring is manufactured from environmentally friendly recyclable polypropylene. This material is incredibly tough and will withstand the impact of any high intensity games; in fact, you can even park on it. 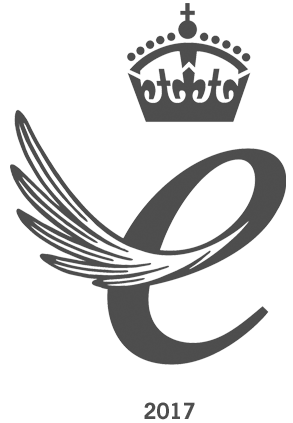 Ecotile Sports Flooring is great for bespoke designs and layouts. Thanks to the selection of colours, customers can create fun, attractive designs or commercial sprung surfaces. The tiles are great for creating mini-courts, but can easily be extended or adapted. 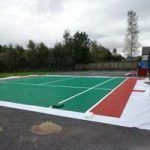 The tiles are UV stable so you can be confident that the colour will never fade and your court layout will remain vibrant. We don’t want to cause any arguments over whether the ball was in or out. They are also ideal for home games areas if you want to put in a bit of extra practice and provide the perfect surface for roller skating, roller blading and inline skating. The wide range of colours and flexible designs makes Ecotile sports flooring perfect for playgrounds and child sports events. The Easiest Sports Flooring. Period. All this from a simple click-together system. 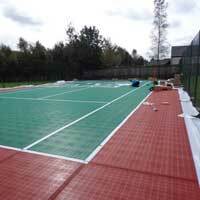 A court surface can be installed over any hard surface, including existing tarmac. Ecotile Lifestyle is a simple retro-fit system. The tiles interlock without specialist tools or adhesives and can change the appearance of an outdoor or indoor area in just a few hours. Edge tiles and corners are available to eliminate trip hazards if you want to lay a patch within a larger area or for doorways if you use the tiles indoors.